THE NBA IS BACK ~ Roundball Manor - The House that Basketball Built. This season is gearing up to be one of the best NBA season in the last decade, and after one week of games there is much to be discussed and dissected. With 5 games under their belt, the Miami Heat seem to better than ever with two KILLER additions to their rotation. Jesus Shuttlesworth who will spread the floor even more for LeBron and Wade, as well as the rebirth of Rashard Lewis who hasn't looked this good since Seattle. Watch out. They'll be waiting for you in the Finals. "Hey guys, need another shooter?" Will Boston be able to give the Heat a run for their money in the playoffs? Probably not, but with a revamped lineup their bench is much deeper and they should be a solid playoff contender this year. The Knicks came firing out of the gate at 3-0, and with their new modified throwback uniforms, the Knickerbockers look to make some noise in the East this season sporting the leagues oldest roster. Will be interesting to see how they incorporate Amare once he returns from his 734th knee injury. "ahahaha Amare said he's gonna play defense!! Camby face!!!" Aside from a new arena, new Herringbone floor, and a new luxury tax bill arriving in 2014, The Brooklyn Nets have yet to prove to be in the top tier of Eastern Conference contenders. Right now they don't look better than a .500 team due for a first round exit. Will take some time for Joe Johnson and Deron Williams to gel, but that back court has the firepower to run with any team. 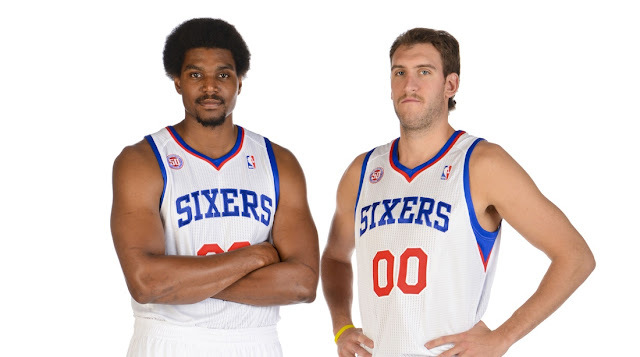 The Sixers are awaiting the return of Andrew Bynum's knee in a time machine from 2011. 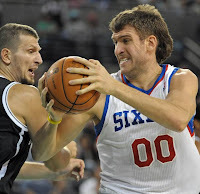 Until then expect The Amazing Mullet to hold the fort down in his absence. Gold Medal for best hair goes to Bynum and Hawes. No contest. Out West the balance of power has shifted as the Thunder traded away The Bearded Ranger and $30 million in luxury tax. Do they have what it takes to return to the Finals without James Harden? 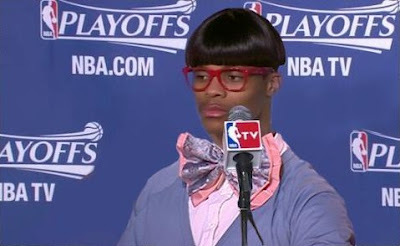 Russell Westbrook thinks so. He also thinks THIS is high fashion. The San Antonio Spurs will certainly have something to say as the team continues to get older and better at the same time. Can this team of international superstars make one last run and get Mr. Duncan his FIFTH RING? Last but not least the Los Angeles Leakers and their band on misfits has misfired themselves to a 1-4 record. Franchise Wrecker DUHwight Howard doesn't seem healthy, Steve Nash fractured his leg, and the team has sputtered out of the gates early. Will they turn it around? Probably. But it sure is fun to watch Lakers fans go crazy. Expect them to meet OKC in an epic Western Conference Finals. Does this picture make anyone else sick to their stomach? Is Rodney Stuckey trying to get traded or he is he really just having a horrible start to the season? Push. Rick Kamla of NBATV: That. Guy. Loves. The. NBA. His passion is infectious, and he knows what he is talking about. Gotta love him. Have you looked at the Warriors roster? It's real nice. If Bogut can keep things on the up and up, they could grow into a scary team. Take a gander and try to not agree. 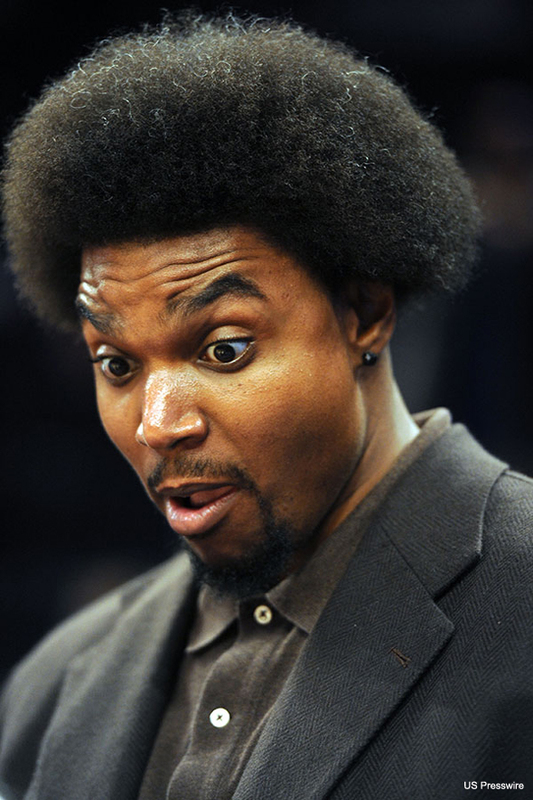 The entire league collectively got goose pimples (yeah, I said it) when Rashard Lewis threw down two dunks last night. 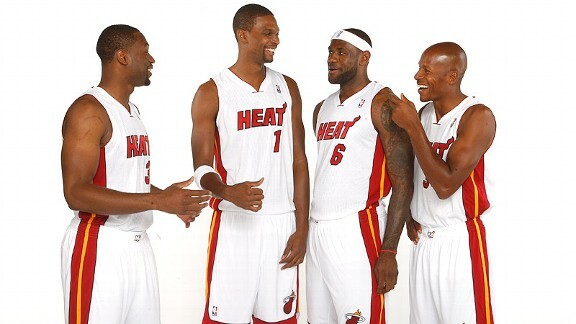 Between his possible career renaissance and Ray Allen just killin' it, the Heat look to be unstoppable. Greg Anthony needs to dial it back. All the other analysts mock him because he talks too much, and rightfully so. He tries desperately to be THE MAN, and it doesn't work. If anyone saw the faux debate on Election Night where C-Webb and Anthony squared off (and C-Webb KILLED it, by the way), Greg Anthony was visibly perturbed because the spotlight was taken. I enjoyed every second of this. As my cohort here at the Manor pointed out, he is much better during the NCAA Tournament. Couldn't agree more. Is DeAndre Jordan starting to get it? He is showing glimpses into what could become a really good player. It is exciting when a player with tons of potential looks to be on the path of realization. Speaking of guys getting it: Melo! He looks fit and trim, is playing good defense, and isn't taking more shots than Karen Allen in Tibet during Raiders of the Lost Ark. His time with everyone at the Olympics this Summer really had an impact. Watch out Atlantic Division. Speaking of Melo: Favorite inadvertently funny NBA commercial from last season. It was for BBVA and it talks about team work, and they show snippets of players doing selfless things. The Melo snippet has the voice over of "making the extra pass" but the video clip they inexplicably chose was him dribbling into a double-team. High comedy. Well played, BBVA. NBATV is an amazing channel. Nuff said. They should keep making episodes of Open Court every year. When the chatter of an NBA team probably going back to Seattle, I am happy for the city. I loved Kemp and Payton in their prime, and Key Arena was already rockin'. At least we got the most boring, unwatchable game of the year between the Hornets and Sixers out of the way last night. Roy Hibbert's goal for this season seems to be not being an All-Star. Josh Smith wants it BAD, though. Hopefully his ankle sprain doesn't factor in too much because we all saw the anger and motivation that drove him post-All-Star break last season. Between the dark wood with just black and white, and the dim lighting similar to the Laker's version of the Staples Center, Brooklyn's home court design is really, really cool.